RayStation has always led the way when it comes to technology integration, and we’re proud to support TomoTherapy® systems. 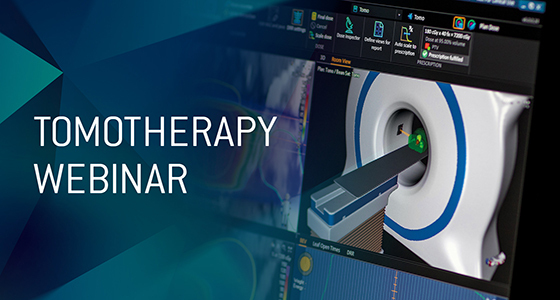 RayStation supports planning of Accuray’s TomoTherapy systems both in TomoHelicalTM and TomoDirectTM treatment modes. With access to all RayStation’s advanced functionality, including multi-criteria optimization,adaptive planning and plan explorer, the user can efficiently design the optimal treatment plan. Optimization capabilities for the TomoTherapy machine include dynamic jaw support, delivery time constraints and the possibility to specify “protect” regions where irradiation is avoided. TomoTherapy planning can be smoothly integrated into the clinical workflow and treatment plans are sent to Accuray’s integrated data management system for delivery (IDMS 1.1 or later is required). The inclusion of support for TomoTherapy in RayStation permits users to beneﬁt from MCO, which allows continuous and immediate exploration of tradeoffs between planning objectives. The fact that navigated doses can be reconstructed by a deliverable plan to sub-percent accuracy makes tomotherapy an ideal treatment technique for MCO. An appropriate bound on the treatment delivery time can be identiﬁed through investigation of the tradeoff between delivery efficiency and plan quality during the creation of a deliverable plan.